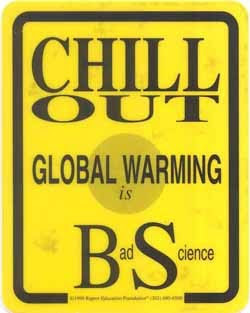 Why Has Global Warming Alarmism Failed With Public? Perhaps Using Lies, Distortion & Fraud To Scare People Is Bad Strategy. But probably nothing could damage the credibility of climate change believers than the recent revelation by the Climatic Research Unit (CRU) that it has lost or destroyed all the original data used to construct historic global temperature records. The CRU, at the University of East Anglia in the UK, which has been using information collected from weather stations across the globe for decades, is probably the most widely cited source worldwide for those mounting a case that the earth has exhibited an inexorable warming trend: its website boasts that CRU’s research has “set the agenda for the major research effort in, and political preoccupation with, climate research.” The critical raw climate data responsible, which scientists of all climate-creeds have a natural interest in, is now gone, apparently, forever. With the exception of a handful of countries that the CRU has agreements with to sell its data, all that remains for the bulk of the statistics are “value added” versions, which is to say, consolidated, homogenized data. Actually, the CRU says it doesn’t even have all the data for countries it has data-sharing agreements with. “We know that there were others, but cannot locate them, possibly as we’ve moved offices several times during the 1980s,” the CRU writes in a rather embarrassing explanation for all this posted on its website. The Unit makes this admission now, coincidentally, as it faced a flurry of requests, under Britain’s Freedom of Information Act, to make available its data to interested researchers. The CRU, it seems, had not been much in a sharing mood prior to that. UK’s register reports that Professor Phil Jones, the fellow in charge of maintaining the CRU data set, told an Australian researcher a few years back that he refused to publicly share his statistics. “We have 25 or so years invested in the work. Why should I make the data available to you, when your aim is to try and find something wrong with it?” The idea that scientific progress rests completely on the constant testing and retesting, verifying and refuting, of studies, seems not to be shared by Mr. Jones, even though this particular data set had massive implications for policymaking in pretty well every country on the planet. Unfortunately for him, as part of a publicly managed and funded organization, his group was nonetheless subject to transparency laws, and so, when researchers sought to shake the data loose without his consent, it had mysteriously vanished. “We have never had sufficient resources to keep track of the exact source of each individual monthly value,” they explained in coming up dry for the FOI requests. As Stephen McIntyre, the Canadian economist famous for his addiction to poring through volumes of mind-numbing climate statistics, and occasionally finding errors (as he did, with Ross McKitrick, in deconstructing and undermining the famous “hockey stick” graph), writes on his Climate Audit blog, it appears that the impoverished CRU even lacked filing cabinets in which to store its records. With access only to “homogenized” consolidated data, there is no way for researchers — skeptical or believers — to verify or refute the original statistics or calculations behind the CRU’s widely relied-upon weather information. The data could be accurate, or not. It could be that temperatures haven’t been warming at the rate the CRU claims, or it could be that they’re warming faster, perhaps arguing for an even direr situation for the planet. Nor can the raw data be run through different modeling programs in order to corroborate conclusions, or question them. The science is permanently frozen into the CRU’s original grid, and we are, evidently, forced to assume everything is perfectly accurate, a relatively rare thing in complex statistical calculations compiled over decades. Which is why Mr. McIntyre (who has also found evidence that could, maybe, suggest that the CRU has been deleting important data files from its servers) isn’t the only one incredulous and indignant over the CRU’s missing records. Roger Pielke, a professor at the University of Colorado Center for Science and Technology Policy Research is a firm believer in global warming. But even he calls this a “big” “misstep,” writing on his blog that “just because climate change is important and because there are opponents to action that will seize upon whatever they can to make their arguments, does not justify overlooking or defending this degree of scientific sloppiness and ineptitude.” Scientists of all climate creeds know that access to basic data is critical to keeping research credible. Of course, the CRU is only one of a couple key organizations whose research based on historical weather data is used to support global warming theory. Given that the Unit has admitted now that it cannot fully substantiate its work, it raises the uncomfortable question of whether CRU’s historic climate research should be used any longer at all.